I can’t believe the time is here, to reflect on another year passed. (2016, 2015 and 2014 here). I say it every year, but 2017 really did fly by! We’re coming up to our third anniversary living in London, meaning we left Australia almost 3 years ago. Madness! What felt like a lifetime, was only actually a year in Australia, and to now think we’ve been home triple that, blows my mind. 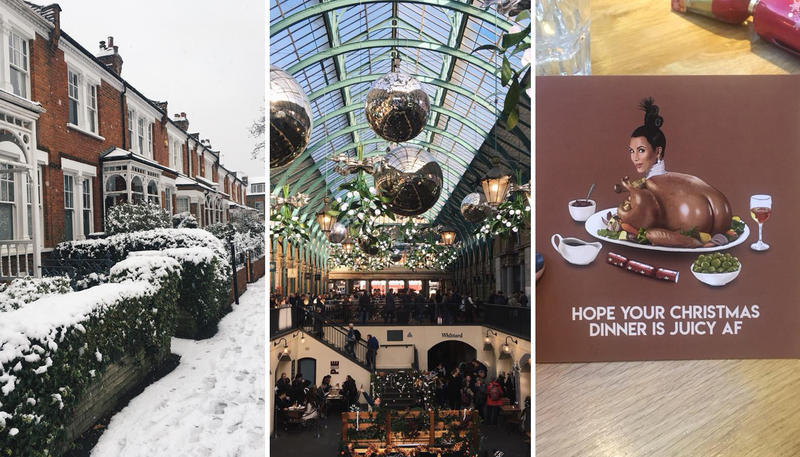 We continue to love living in London, and whilst not a lot has changed in our lives personally this year – I still love my job as SEO Executive at ASOS and we love living in Crouch End – 2017 has been jam packed with travel, celebrations & some more incredible opportunities through my blog. 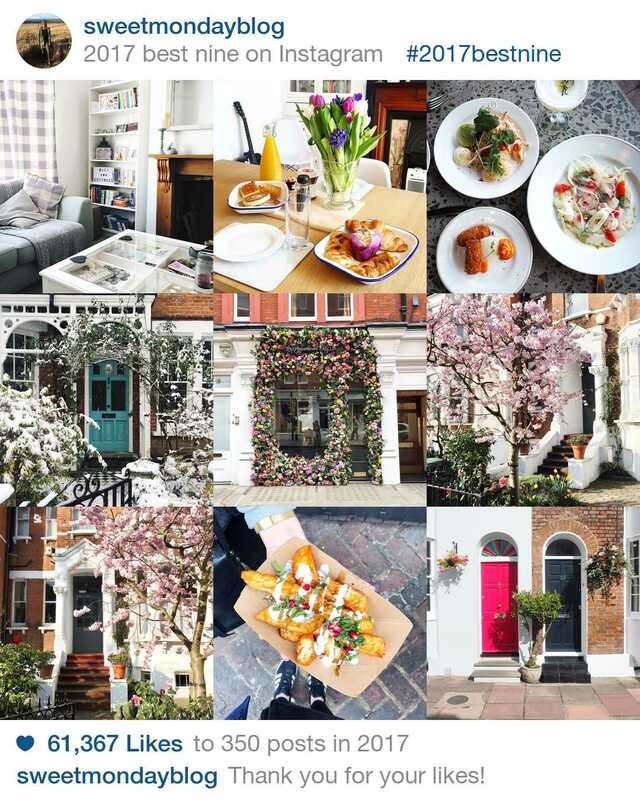 However, with all these fantastic experiences, it seems the world of Instagram (and my lovely followers), like to see photos of blossom, doors and food! So expect to see lots more of that over on my Instagram in 2018 – roll on Spring, for all that blossom again! I enjoy writing these posts, as it gives me the opportunity to take a step back and really think about what I’ve achieved in the past year – my highs and my lows. I am the type of person who is incredibly busy most of the time, with my head down, working at a hundred miles an hour, and often forget to stop and reflect on what I’ve done. My 2017 didn’t get off to the best of starts. After sharing a wonderful New Year in Cornwall with 20 of my nearest and dearest, no sooner had I got back to London (and got a new phone), did I get pickpocketed on the tube. It was a really horrible moment, one I won’t forget, and one I certainly don’t want to happen again. Having thought I was always super careful with my valuables, I’ve become even more vigilant since. But I have to be grateful that it was nothing worse, and although it was a tough month financially, phones can always be replaced! It did mean however, that I lost many of my photos from the beginning of the year. But I did get to tick off brunch at Dalloway Terrace and another fantastic meal at Harrods! This year I celebrated pancake day with the lovely Candice, from Great British Bake Off 2016 and enjoyed many more restaurant reviews around the city. I popped back home, to Gloucestershire, to celebrate one of my friend’s birthdays and got my hair did! March was a pretty epic month, as Chloe’s boyfriend invited me along last minute to a concert at the o2, to see The Weeknd for Chloe’s birthday, and I’m SO glad I went. It was one of the best concerts I’ve been too, and it was my first time at the o2. Although I hadn’t listened to much of The Weeknd’s music beforehand, I’ve become obsessed with him since he. He was really incredible live. 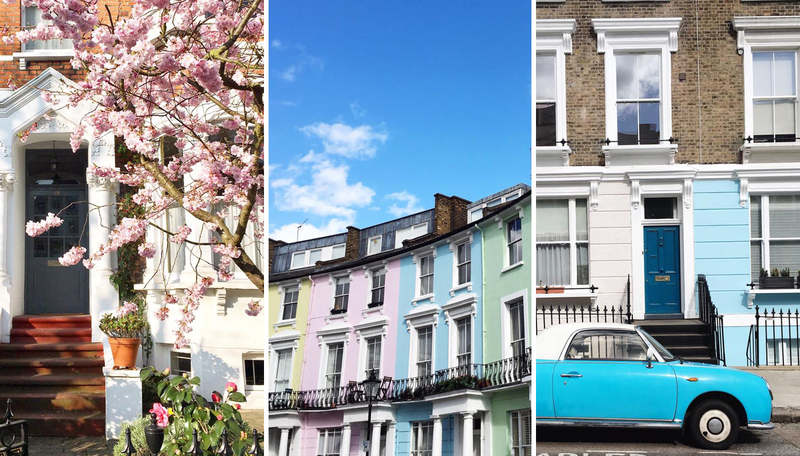 March also happened to be the month when I got some of my best Instagram content – blossom, pastel coloured houses and pretty cars. This is my favourite month of the year, because it’s both mine and Stew’s birthday month. This year we decided to surprise each other with days out in the city. His comes first, so I was first up to surprise him with a fun-filled day. 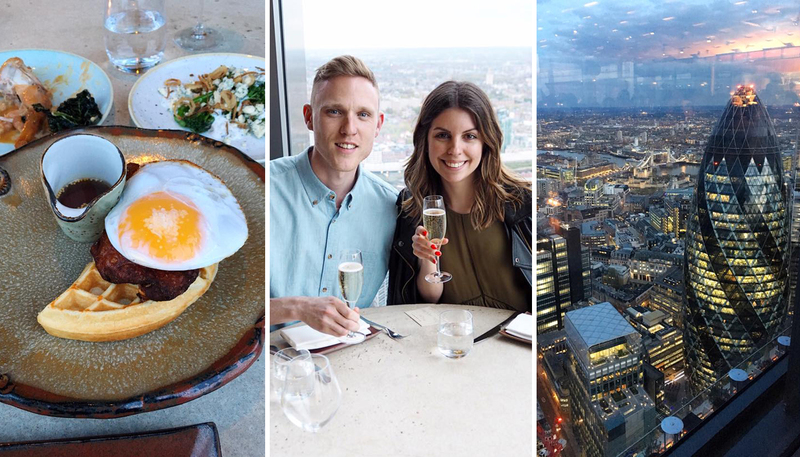 As we approached our dinner reservation at Duck & Waffle, and got closer to the entrance, he couldn’t believe it as he too had booked Duck & Waffle for my birthday 2 weeks later!! We are literally the same person I swear. Things like this always happen to us. Although we both loved our meal there, (and luckily got the best table in the house! ), we decided to cancel his reservation as we wanted to try somewhere else. Instead, he managed to book a table at German Gymnasium, which was lots of fun too. 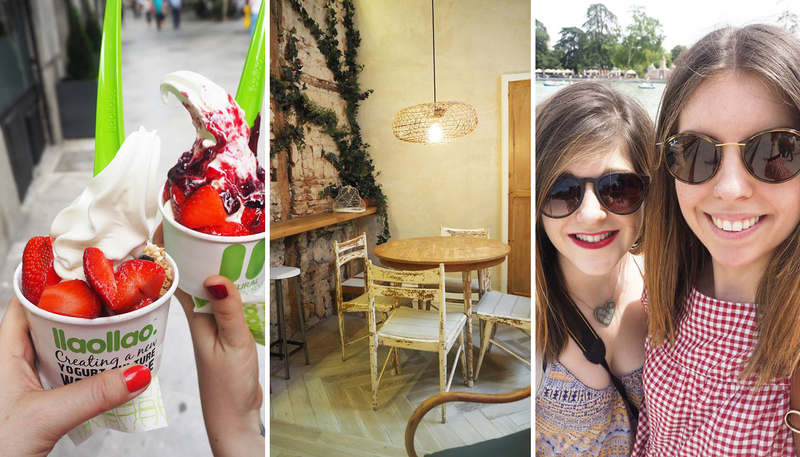 This year I took a girls trip to Madrid with Chloe. Chloe and I became friends a couple of years ago, after meeting at a blogger event here in London. We quickly found that we had a lot in common and she’s become a great friend since, so much so that we decided to take our shared love for food and travel, all the way to Spain for a long weekend! I had never been to Madrid before, but I really enjoyed the city. Although it’s the capital city of Spain, it perhaps gets a little overlooked as a destination, in comparison to Barcelona. However, Madrid is also steeped in history and is the perfect size for a long weekend. In 3 days we managed to tick off all the main attractions and still fit in a little time for shopping and sunbathing in the park. 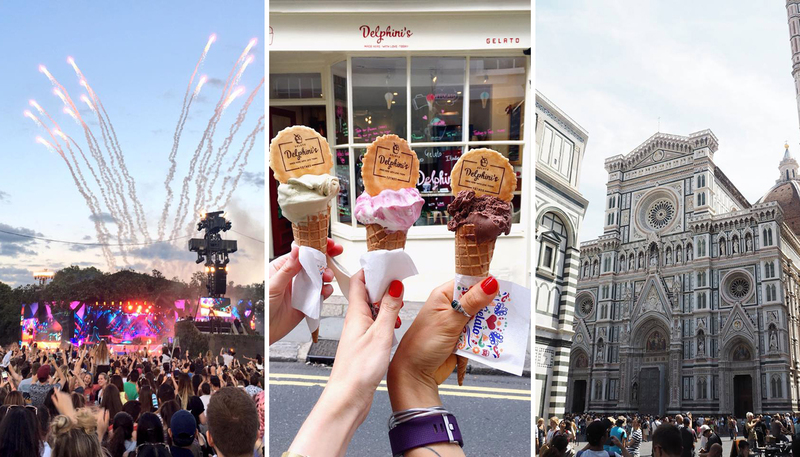 This summer was jam packed with travel opportunities, holidays and trips to visit friends all over the UK. Correct me if I’m wrong, but I think we had a pretty decent summer weather wise. At least, June and July were nice anyway. In fact, it was so sunny in July, that I took a trip down to Devon and managed to get sun burnt on the beach! 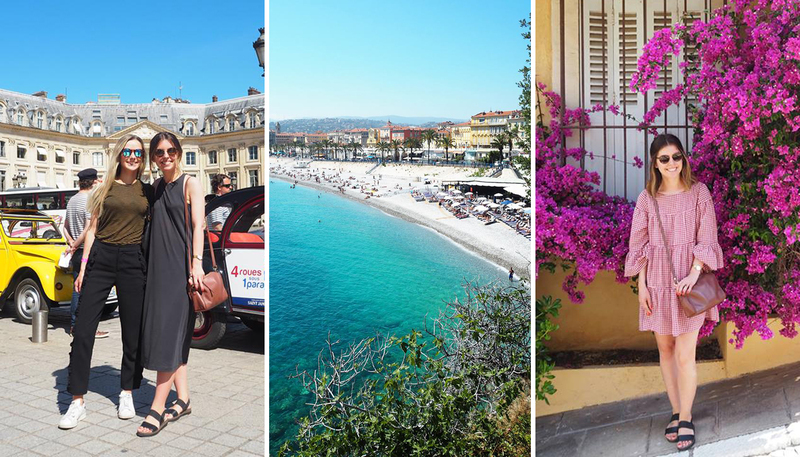 My highlight of June has to be visiting the Cote d’Azur for 5 days with a lovely bunch of bloggers and influencers, from all over Europe. This was my second press trip abroad with my blog, and we had a fantastic break, visiting the likes of Cannes, Nice and Paris. This year I attended my second British Summer Time music concert in Hyde Park, seeing Justin Bieber for the first time – my ultimate guilty pleasure! As I mentioned above, I also took a trip to Devon to visit one of my oldest friends, who now lives in Dartmouth. We were blessed with great weather, which meant sunbathing on the beach, paddling our feet in the sea and eating copious amounts of ice-cream. Towards the end of the month, I took a trip to Italy with my parents for a weeks holiday, visiting Bologna, Modena and Florence. I had previously visited Florence, almost 7 years to the day, and it was lovely re-visiting this beautiful city and watching my parents explore it for their first time. Bologna was breathtaking, and Modena was equally beautiful. July being the height of summer, meant it was extremely hot, but the cities were relatively quiet (Florence being the only exception), and there were plenty of shaded areas to relax. I’d highly recommend all three places, if you’re heading to Italy. If you’re a foodie, Bologna should be top of your list – home of the bolognese, whilst Modena is home of balsamic vinegar. I’ve definitely got the Italian bug now, and would love to go back and explore more of the south. I really must get around to blogging about my trip and sharing my top tips – watch this space. 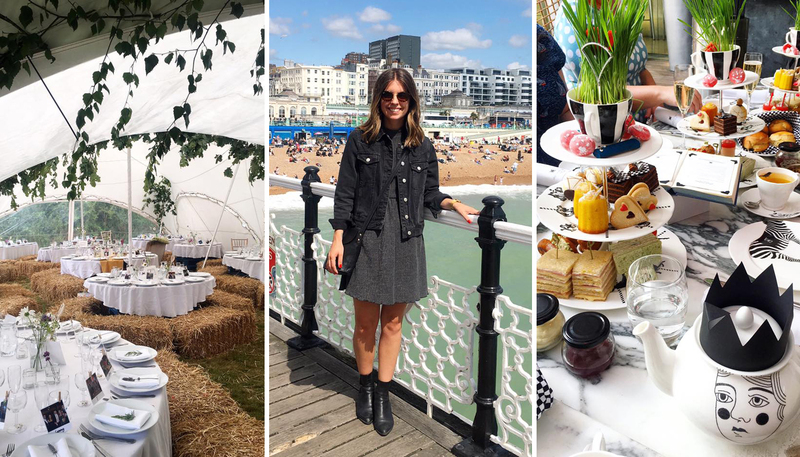 August was a relatively quiet month for us, with the exception of a fantastic wedding in Warwickshire and celebrating Gemma’s 30th birthday with afternoon tea at Sanderson. I also spent a weekend in Brighton with my best friend, watching Dirty Dancing on the beach! In comparison to August, September was probably our busiest month of the year. 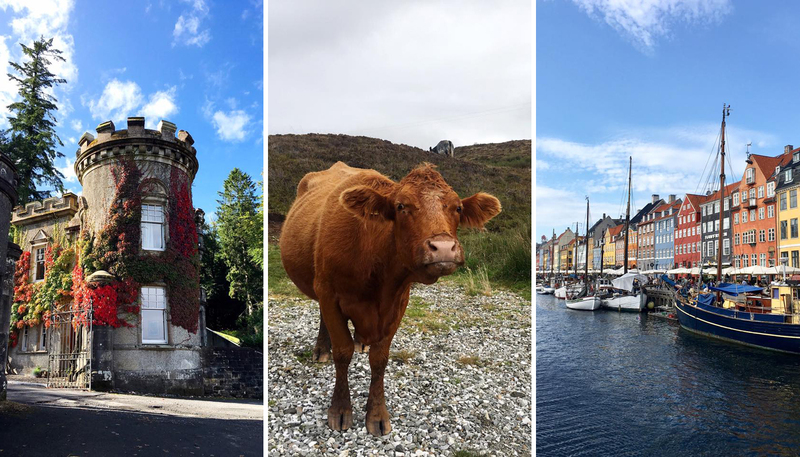 We began the month with a 2 week road trip visiting the Lake District, Scotland and York. This had been on our bucket list for a while and it was one of the best trips we’ve taken. Hiring a car for a fortnight, pitching a tent and being the great outdoors, was so freeing. We both absolutely loved it. Neither of us had been to Scotland before, and it truly is breathtaking. My photos will never do it justice but I urge everyone of you to visit, if you haven’t already. Highlights included Loch Lomond, Isle of Skye and Edinburgh. No sooner had we got back to London, we were off to Denmark for a long weekend to celebrate another wedding with friends in the north of the country. This woodland wedding was something straight off Pinterest. Beautiful! We extended our trip to visit Copenhagen too, our first time in Scandinavia. I’m yet to blog about this trip, and I need to finish our Scottish adventures, so expect lots of travel posts coming up in the new year! October served some much needed rest after all of our gallivanting in September. It did however include a lovely trip to Brighton to celebrate Emily’s hen do. 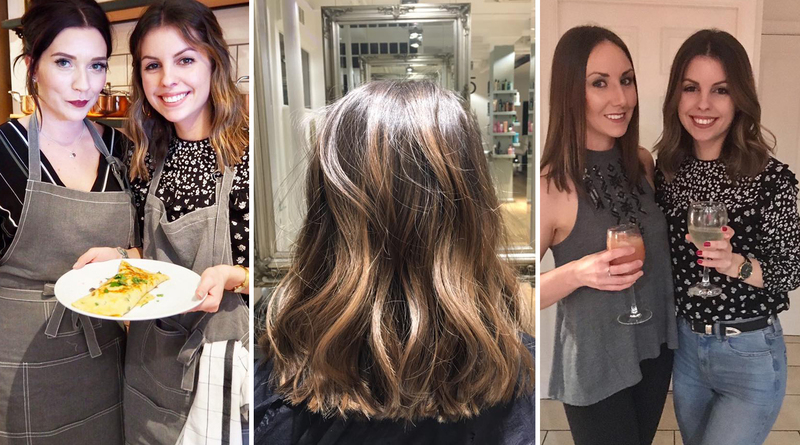 Expertly planned by both the bride and her bridal party, Emily really set the bar high for a hen do! 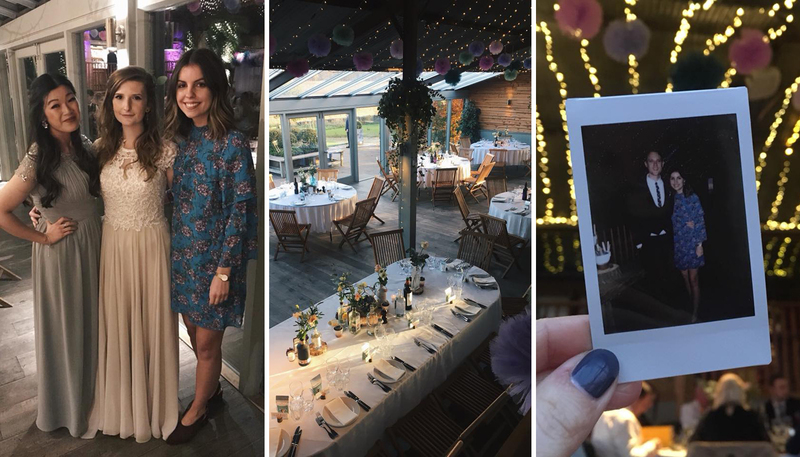 Following on from the hen do, Stew and I travelled to the Cotswolds to celebrate Emily’s wedding at the beginning of November. Set in the beautiful countryside, the married couple couldn’t have asked for better weather – it was sunny and crisp with a fantastic sunset. The decor had been perfectly thought out, with gin bottles and succulents adorning the tables. And finally December. The month of wandering around London snapping all of the festive Christmas lights and decorations. 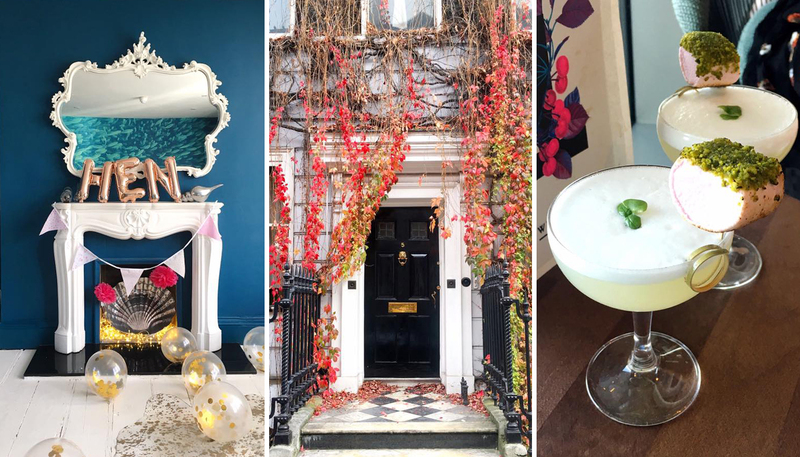 December was full of gatherings, work Christmas parties, agency lunches and festive tipples along the way. Plus we saw our first snow in London! After having spent the past 2 years celebrating the big day in London with my parents, we decided to hire a car and drive back to theirs this Christmas, in Gloucestershire. Here we caught up with my oldest friends, visited lots of family and enjoyed Christmas lunch with my grandad at a nearby country pub. We split our week between there and Birmingham, visiting Stew’s family and friends towards the latter half of the week. It was lovely not to have to cook Christmas lunch this year, and see all of our nearest and dearest. Now we’re back in London and about to see in the New Year with more friends in Clapton. I’m not one for New Years resolutions, but I hope that 2018 brings more fun memories. This year could be a big one for us, as we hope to buy our first home together. We have been renting for 4 years now, and saving hard, in between travelling and changing jobs. We’re not quite sure where we will eventually settle, but we know we want to stay in London – we really feel settled here now, and I’m SO excited to finally buy and be able to put our own stamp on a place. I’m also turning the big 3-0 this year, in April. Eek! I’m a little nervous as although it’s only a number, you naturally do start to panic – have I achieved what I wanted to? Am I where I want to be in my career? Do I have the life I always hoped for? Big and scary questions! And there’s this pressure to celebrate in the best possible way – but what is that?! Personally I’d like to keep it relatively low key, and Stew and I have actually booked the week off, to spend it in the Peak District, which suits me perfectly. I’m excited for our next adventure exploring another area of the UK. Although it will be an expensive year, what with buying a home, we also hope to visit New York next Christmas. We’ve both been before, but when were only 18, and so we’d love to go back, and for me, New York is the epitome of Christmas (my favourite time of the year)! What are your plans for 2018? Do you have any New Years Resolutions?